Jesus H Christ on Oprah, Bushco never fails to come up with particularly stupid decisions that ultimately hurt US. 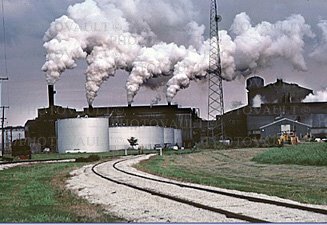 More and more ethanol manufacturers are looking to power their plants with cheap coal instead of its cleaner and increasingly expensive competitor, natural gas, thereby potentially limiting ethanol's environmental benefits. And the Bush administration is doing its part to accelerate this trend. Under pressure from a group of senators and representatives from corn- and coal-producing states, the U.S. EPA is considering a rule change under the Clean Air Act that would relax pollution regulations on ethanol plants, clearing the way for them to burn coal with fewer restraints. And I'm sure when these companies save money in the production of ethanol they'll pass those savings on to the consumer as lower priced fuel. Yeah, that's a given.